GW has installed an electric vehicle charging stations in the Academic Center, Law Learning Center and Science and Engineering Hall Parking Garages. Learn more about the ChargePoint Network or email [email protected] if you have questions about the on-campus stations. The George Washington University Transportation & Parking Services (TPS) Department, as part of the Division of Operations, is responsible for managing the day-to-day parking operations at The George Washington University’s Foggy Bottom, Mount Vernon, and Virginia Science and Technology campuses along with transportation services which provide access to our three main campuses. 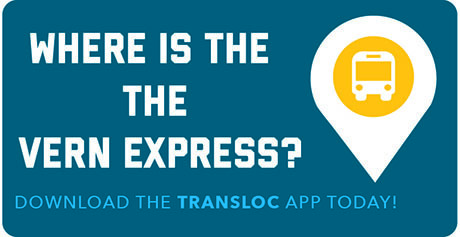 TransLoc Rider App (Android/Apple) is available for riders of the Vern Express and VSTC Shuttles rides. "Notify Me" function allows riders to set push notifications when a shuttle is arriving at a GW shuttle stop. A web portal is also available for those who do not want to download the app. The transloc maps are also accessible via the GWMobile App (Android/Apple). GW is in the process of implementing a new modernized automated parking system university wide. The implementation is starting at the Mount Vernon Campus and is expected to be completed sometime in 2019. During the transition, additional staff will be at the garage to assist customers. During the transition – parking will accept current validation tickets (e.g. QR codes or stamps). Once the upgrade has been completed and the garage transitioned to the new system, the old stamp and QR code vouchers will no longer be accepted at that garage. Updated communications will be distributed as this transtition progresses.